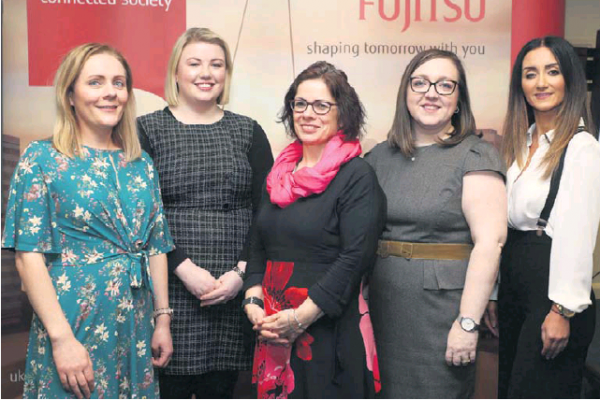 ICT COMPANY Fujitsu has been encouraged by the calibre and number of aspiring HR professionals who attended a special Information Evening at its Derry/Londonderry office. Guests included a mix of university students, new graduates and career movers as well as experienced HR professionals. Attendees heard from Sarah Wadsworth, Head of HR Services at Fujitsu EMEIA, who spoke about the evolution of the sector and shared insight into the transferable skills needed to succeed in the industry such as the ability to manage people, build relationships, and deal with ambiguity in a challenging and dynamic environment. The North West office is home to the company’s HR Hub for the whole of the UK and Ireland. As well as its size, the Hub is unique in that it is led by four experienced business women. The open evening is the first in a series of information events that will be held in the City by Fujitsu as it looks to expand its recruitment opportunities.